PLEASE NOTE: This book is sold in the UK and Ireland as Researching Ulster Ancestors but is identical in content to the book, Researching Scots-Irish Ancestors (Second Edition).Customers are welcome to purchase either version. Read reviews of this book by two highly respected genealogists, John Grenham and Chris Paton. When the first edition of this book appeared in 2005 as Researching Scots-Irish Ancestors it was quickly recognised as an essential work of reference for family historians researching Ulster ancestors in the seventeenth and eighteenth centuries. It filled an important gap in providing reliable guidance on sources for perhaps the most critical period in understanding a family’s links with the north of Ireland. This is territory where some family historians fear to tread. But they need not. This guide opens up avenues for research; drawing attention to the riches of archives inside and outside of the island of Ireland, demonstrating the benefit of often undervalued, rare, even quite unconventional, yet accessible sources – if you know where to look – which can help document your ancestors back to the 1600s. At more than twice the size of the original, this new edition is a massively expanded version of the first volume. It includes additional information on church records and landed estate papers, as well as new chapters looking at records relating to law and order, emigration, business and occupations, diaries and journals, and clubs and societies. The extensive appendices to the book include a summary breakdown of the sources available from this period for every parish in the historic nine counties of Ulster (including a listing of surviving pre-1800 church records); a detailed description of around 350 collections of seventeenth- and eighteenth-century landed estate papers; and a listing of more than 500 towns and villages in Ulster with parish locations. 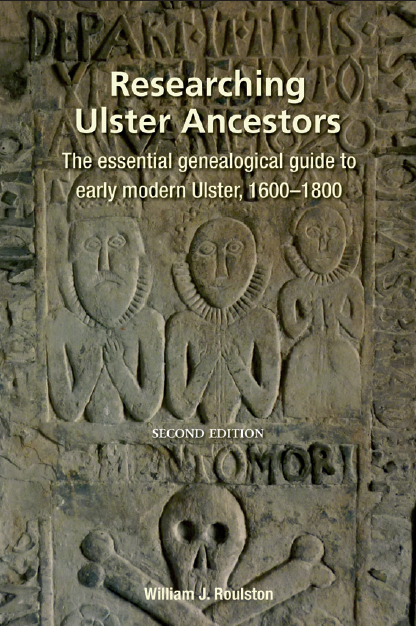 Whether your ancestors are of English, Scottish or Gaelic Irish background, whether their religious affiliation was Anglican, Methodist, Presbyterian, Catholic or other, whether they were farmers, merchants or labourers, this volume will be of enormous value to anyone wishing to find out more about their Ulster roots.